Apple has developed an interesting approach to making our lives better. 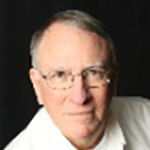 Namely, as various technology elements are developed and then shipped, each seeks to solve a particular problem we have. Sometimes, the problem is intrinsic to our lives, such as answering the iPhone when it happens to be out of reach—with an Apple Watch. Sometimes, the problems to be solved are brought on by the solutions themelves. The iTunes app is a good (or bad…) example. The Particle Debris article of the week comes from someone I frequently mention: Jonny Evans. His article, “10 New Apple Technologies Introduced in 2016.” reminds us all that Apple is always at work doing the little things that often go unnoticed. And that got me thinking…. Apple’s AirPods. We don’t get something like this every day. Apple has been successful by figuring out what we need next. 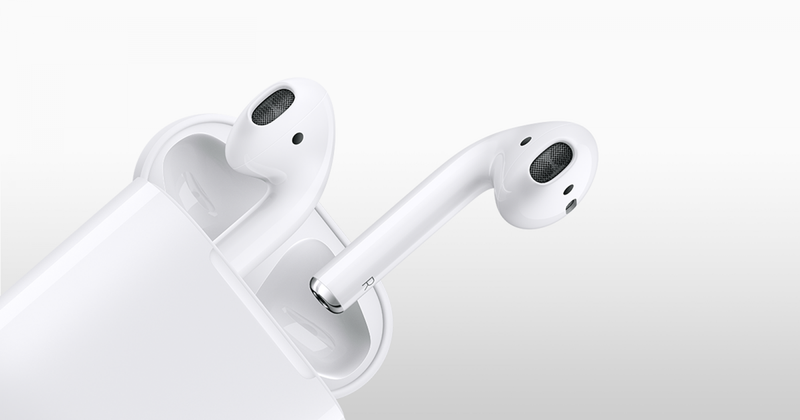 That often takes the form of a single encapsulated product like the iPhone or the AirPods. We eagerly get our head around this kind of a package concept. It, whatever “it” is, comes in a box. We open it with glee and are immersed in its joy. Apple does an amazing amount of research to make sure the experience is something we can appreciate with a smile. In an era where so many products from other companies are rushed to market, sometimes it seems in beta form, it’s very satisfying to buy a new Apple product, like an Apple Watch or AirPods, that are complete and pleasurable out of the box. But it’s also true that products like that don’t come around every month. It’s the in-between time where Apple engages in those continuous improvements that go under appreciated. That’s where the article above by author Evans comes in. He cites developments in ceramics, differential privacy, the Watch’s S2 chip, waterproofing technology, and the MacBook Pro keyboard, amongst others, as examples of how, gradually, things get better with Apple products in a way that’s often under the radar. Or else, not mentioned, something like Swift Playgrounds offers up a pleasant surprise. 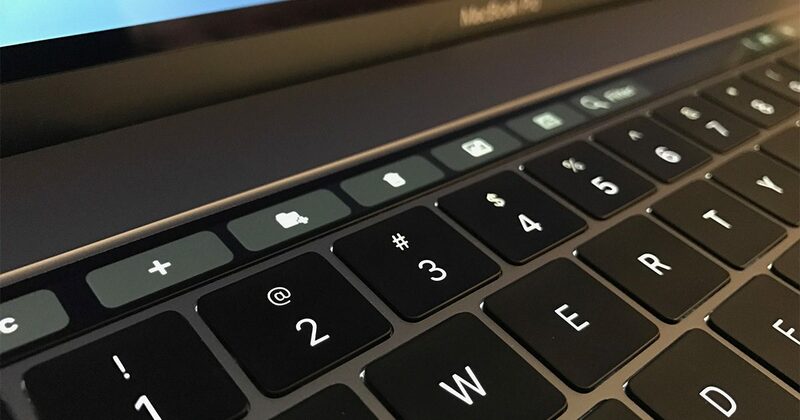 My suspicion is that Apple expected us all to appreciate the MacBook Pro Touch Bar as one of those highly appreciated refinements. But the timing was wrong. Apple gave us a great refinement at the end of the year when something meatier was expected. What the community was hungry for was a splash. The MBP’s Touch Bar is one of those periodic, essential refinements. 2016 was a tough year for Apple. The company didn’t ship any new desktop Macs. The 12.9-inch iPad Pro didn’t get an A10X upgrade. The Apple TV didn’t get upgraded to 4K/UHD/HDR. The result is that we didn’t have the opportunity to revel in many of of those glorious unboxing experiences. Those periodic revitalizations make us feel as if we’re plunging into the future. When we don’t get them very often, the withdrawal symptoms are severe. Even if we’re not ready to upgrade, it’s important to have that special something to dream about. In that sense, Apple’s ability to move forward with new products has a profound effect on our psyche. The company that we love is cranking out the future, and we yearn to be in sync. Or, at worst, only a step behind. However, when Apple has trouble shipping new, exciting products, we feel as if our beloved bandwagon has a broken wheel. We get cranky. That’s why it’s important to look at what Apple does, in little ways, to offset that negative psychology. Technology bursts are glorious, but continuous refinements are also important. Anther factor to consider is that those who write about Apple do so every day. Apple’s progress is viewed at very fine-grained scale. However, the average customer shows up in an Apple store much less often. All those many refinements accumulate. To many, they must seem overwhelming. For many, a new MacBook or MacBook Pro with only USB-C ports must seem exciting, perhaps a little fightening. The Apple Watch Series 2 is only few months old. The 9.7-inch iPad Pro is still less than a year old. The accumulation of small improvements by Apple, seen at a different resolution of the timeline, can aggregate to to the point of being scary to many customers. After all, most Apple customers only upgrade every few years. To them, just keeping up at that interval is a challenge. It’s almost like Einstein’s relativity theory. For observers on that classical thought experiment’s fast moving train, time moves differently than for those observers at rest. And so, one’s perception of Apple’s progress depends on how fast your own train is moving. Apple has its work cut out in 2017, and I’m looking forward to some big splashes. But, along the way, watch for all those little things Apple does to make our lives better. We need those as well, and that attention to detail is fundamental to how Apple works. Next page: The news debris for the week of January 9th. An Apple report card for 2016. Thanks, 2old4fun. I appreciate the praise. Sorry for the delay in responding – work has been crazy busy. You are right about the lack of tech delaying things. But, I still say that spending BILLIONS on R&D should speed things along as well!! RonMacGuy, that was one of the best comments I have read. But as far as spending billions that should have produced more, money spent does not make up for time or the lack of technology. If Apple is working on something that requires technology or process that do not exist then it just takes longer. Because a researcher comes up with a super battery does not mean that the means to produce it in quantity exists. But I believe that Apple will continue to innovate and bring to market things that will amaze me (my AirPods are on order). With one exception it beats the hell out of the Phillips HUE app; Homekit does not yet have a fade setting for lights. For me someday has arrived, it arrived last January. How is that Kool-Aid, anyway ?? I will miss your optimism and spins. Long Live Mac Ob !! !